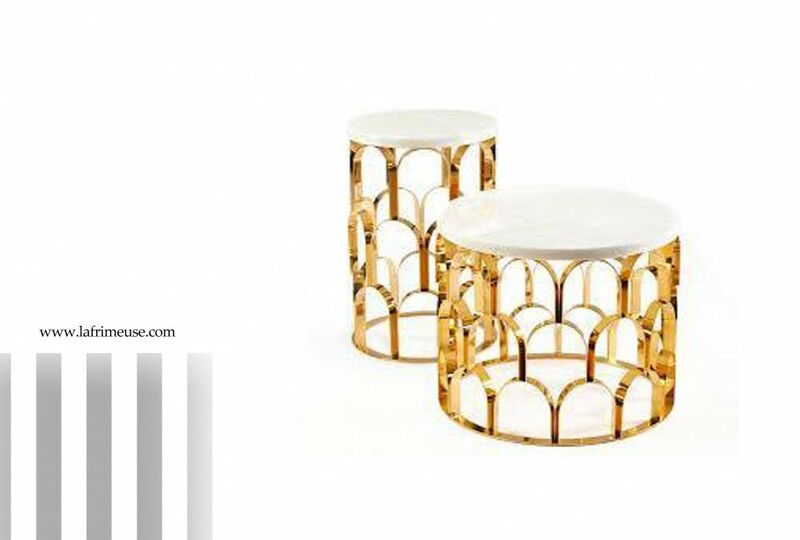 If you mix components such as an idea taken from the Nature, innovative design and high-quality execution, the unique items will appear as the result, for example, these coffee tables. These items are part of a series called «pineapple». Obviously, this exotic fruit served as a source of inspiration for the designer Pedro Sousa. But the imagination is not standing still in front of pineapple and rushing on. And now the outlines of the living room or restaurant’s interior of minimalist and at the same time,of the eastern style have already drawn in the head. There are white carved wall panels and partitions, blue sofas with lots of pillows in the beige and coffee tones with ultramarine ornaments. The tables stand before them, tiny cups with a magic drink are put on the polished surfaces of marble and air impregnated by the aroma of coffee with cardamom makes us feel slightly dizzy. The designer has created these things for Ginger & Jagger. Founded in 2012 the brand of industrial design that prides itself on creating handcrafted high-end contemporary products inspired by Nature. Designed and produced in Porto, in the land of the ancient traditions of the craft. The collections are full of poetic images, where nature immortalized in sculpture form, with unique artistic techniques and the amazing blend of materials such as marble, exotic wood, bronze, copper. Ginger & Jagger tries to apply the most advanced technology to recreate sophisticated naturalistic form, not simply imitating nature, and creating a finely-designed stylization. 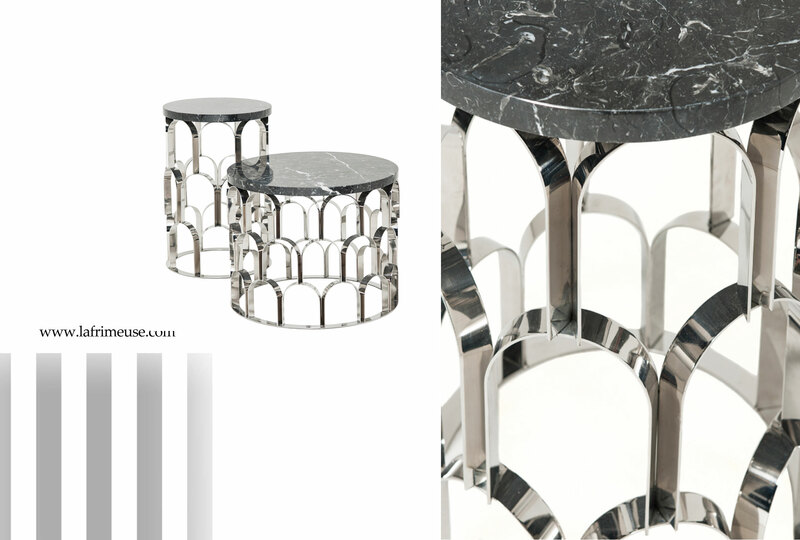 The designers of the company like to combine the softness and rugged textures , which we could see in our environment. 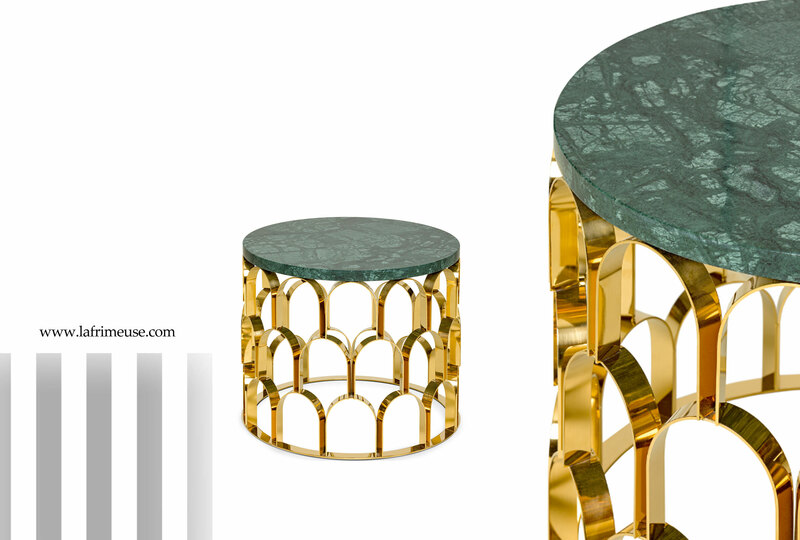 The Ananaz tables by Pedro Sousa for Ginger & Jagger combine a beautiful mixture of materials- the frame is made with gold plated brass and the surface is made out of solid marble. 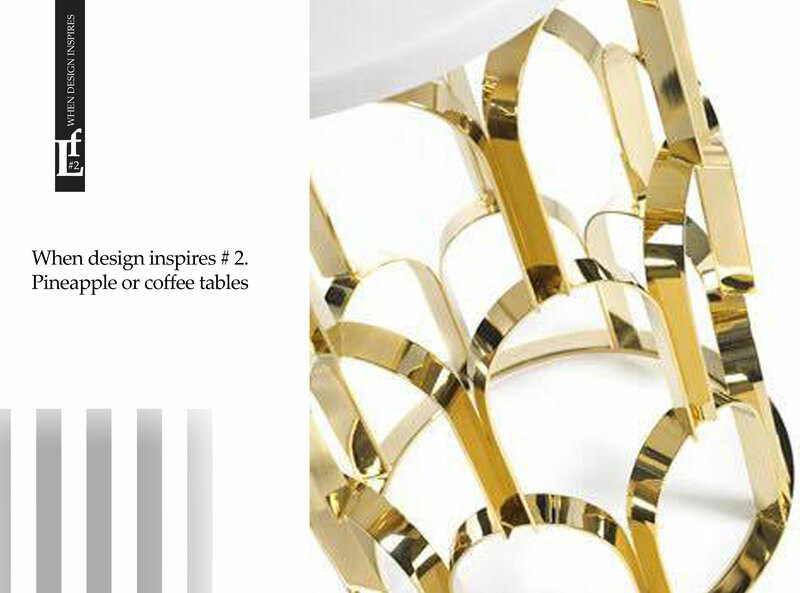 Both designs are also available in copper and nickel plated brass.